In the morning, we will come to collect you at Tien Sa port and then we begin our Hoi An Private Shore Excursion from Tien Sa port. We first head to Linh Ung Pagoda where you can admire the biggest Kwan Yin Statue in Vietnam with the height of 67m. As you know, the whole area was built to become one of Da Nang’s main tourist attractions. From a far, the site is amazingly fantastic with all temples and pagodas together with big statue, all creating such an impressive atmosphere for visitors. On arrival here, we will come and visit Goddess of Mercy Statue. 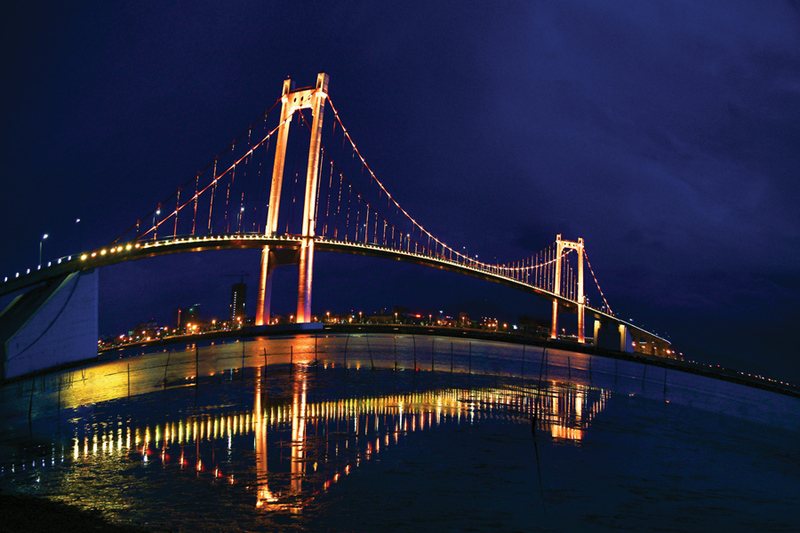 From here, you can have panoramic photos of Da Nang beach city as well. Later on, we will come and visit Linh Ung Pagoda that is holy place for the local people to come and pray. This big temple is very strong Chinese influence with all decorations of dragons and pretty bonsai trees around. When we finish, we are off to Marble Mountains. So, this area has five marble mounts that symbolize for five Oriental elements of Water, Wood, Fire, Metal and Earth. Reaching the site, we take elevator to go up and wander off around the area and pay a visit to many Buddist temples and caves. The first is Linh Ung Pagoda and then Van Thong cave with pretty view of the beach. 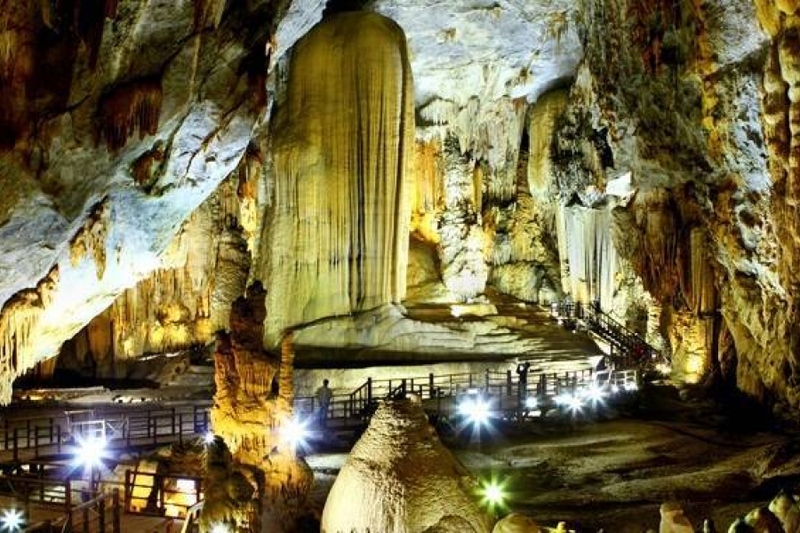 Following that is another visit to the most beautiful cave of Huyen Khong. Thus, this cave is so special with all natural landscape setting. In nice sunny days, the cave is amazing with all incense and smoke mixing up with sunlight. All create such a ideal site for visitors. Also, this one was a hiding place and temporary hospital for soldiers and local people in the war time. After that, we will come and walk up stairs to have the best view at river – watching tower. From here, you can grab the whole view of Marble district and also see Da Nang beautiful city from a far. Finish up the site, we then walk back to the car and we will directly transfer you to Hoi An – the former trading town of Vietnam. 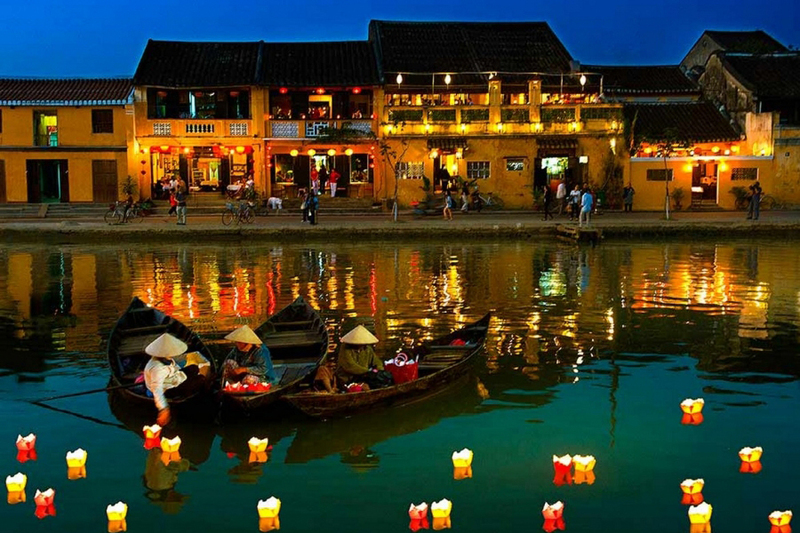 Today, Hoi An is so charming and gorgeous with all lanterns,café, restaurants, bars and tailors. On arrival, we then stroll around this lovely peaceful Hoi An ancient town and visit Fukien temple – the most typical Chinese architecture. The temple was built by Fukien community who lived in Hoi An and for them to come to honor their forefathers. Besides, lots of Chinese people came to pray to Goddess of the Seas in the old days. Nowadays, this spot becomes a sacred site for Hoi An people to come and worship for their best wishes. 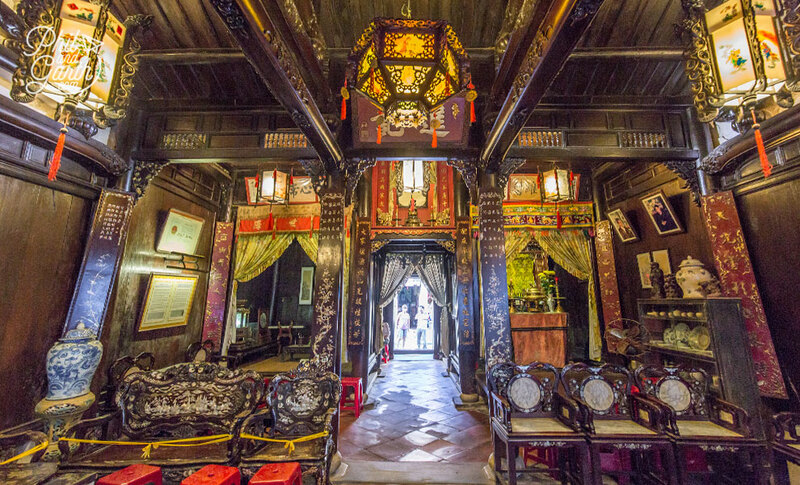 Following that, we are then off to Tan Ky ancient house which has the combination of Chinese, Vietnamese and Japanese architectures. This house is kind of tube home in Hoi An with 3 separate apartments: the front, the middle and the back. In the old times, people had to collect the goods from merchant boats in the rear and sold out in the front. Entering inside the house and listen to the host telling you the history of the place. 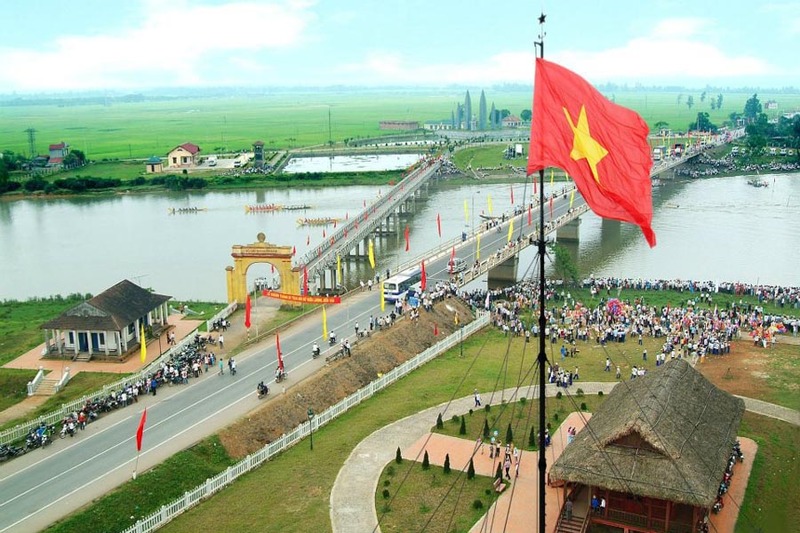 Upon finishing, we are heading to Japanese Bridge that becomes symbol for Hoi An people. The bridge was built over a canal that made easy walk way for traders in the old days. On both sides of the bridge are statues of monkeys and dogs while on the side attached with a temple built by the local people with a wish to overcome difficulties in their life. After all, you can have some free time exploring Hoi An on your own before we take you back to Tien Sa port. Our Hoi An private tour from Tien Sa port will finish here. 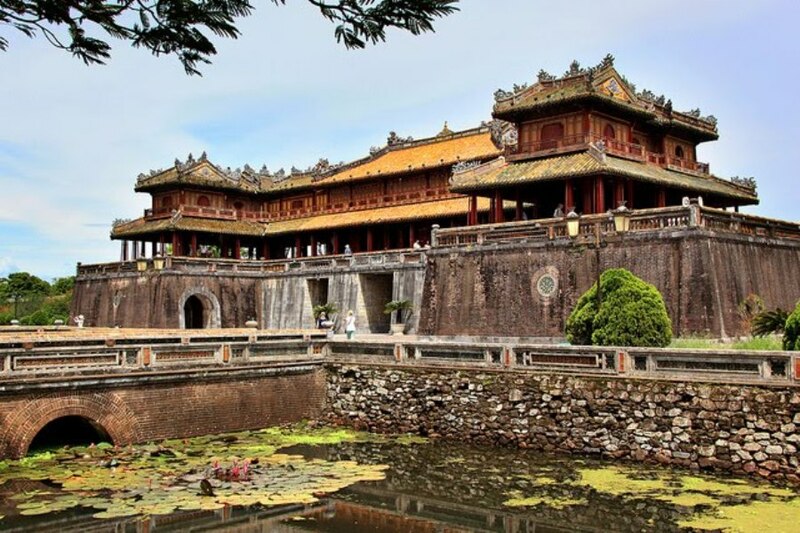 How you are interested in this Hoi An Private Shore Excursion? Being a part in this trip, Premium Travel Vietnam provides you with an outstanding experience exploring beautiful Da Nang city and charming Hoi An ancient town. 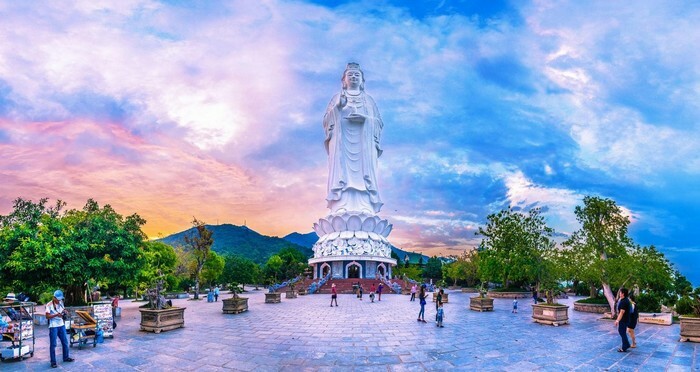 Thus, you take your chance to visit the highest Lady Buddha statue in Vietnam in Da Nang. 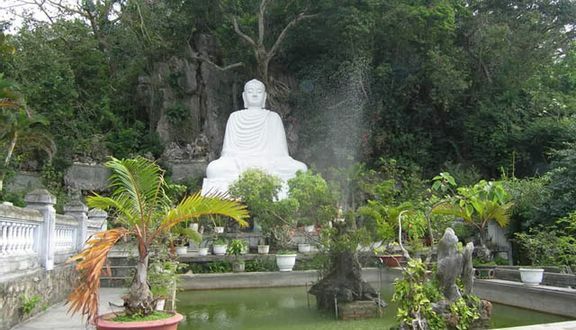 By the way, it is really enjoyable trip to pay a visit to pretty caves and Buddist temples at Marble Mountains. 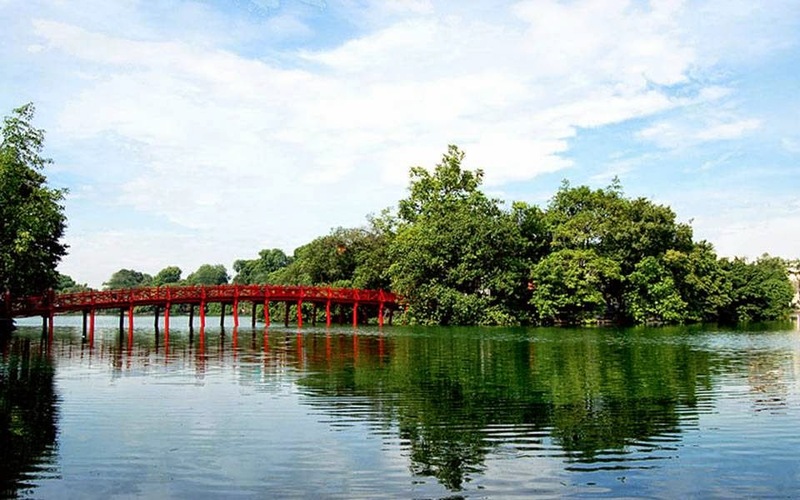 Eventually, discovering Hoi An ancient town which is considered as little VENICE of Vietnam is a remarkable trip that is a must – do thing in Vietnam while you are in central Vietnam. 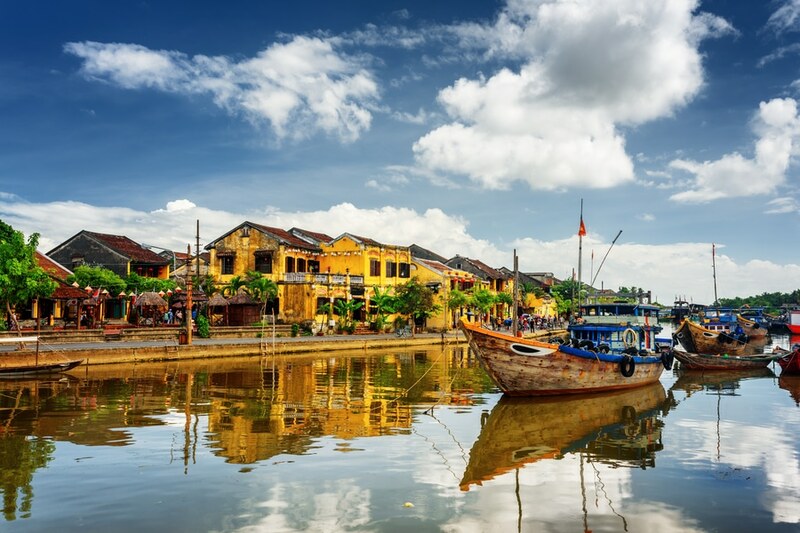 Hoi An Private Shore Excursion Price? Kindly contact us at premiumvietnamtravel@gmail.com or Whatsapp/Viber at 0084 979613777 for more details. We are honored to serve you. In months of October, November, December, January, February; it normally rains in central Vietnam, let’s bring rain coats with you. For the rest of the year, it is usually hot and humid. 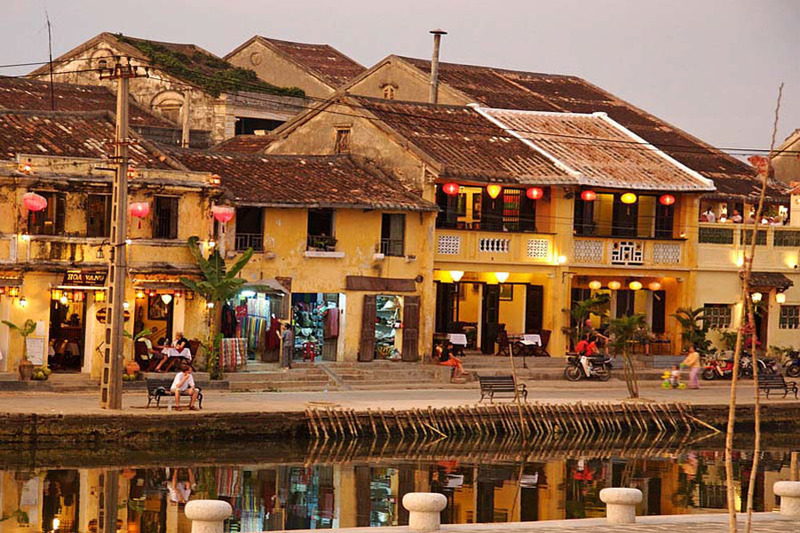 How to book Hoi An Private Shore Excursion?